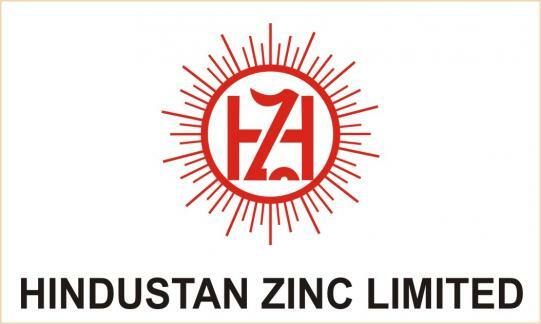 Udaipur: Hindustan Zinc Limited today announced its results for the fourth quarter and full year ended March 31, 2018. The fourth quarter recorded the highest ever production from underground mines. Total mined metal production in Q4 was 255kt, up 6% q-o-q and down 18% y-o-y. The sequential increase in production was on account of higher ore grades while the y-o-y decrease was driven primarily by decline in overall ore grades due to transition from open cast to underground mining. The Company recorded highest ever lead and silver metal production during the quarter. Integrated lead metal production was 50kt, 9% higher q-o-q and 11% higher y-o-y on account of higher mine feed and smelter efficiency. Integrated silver production was at 170 MT, up 28% sequentially and up 22% y-o-y due to higher silver feed and smelter efficiency. Integrated zinc metal production was 206kt, 3% higher q-o-q and 4% lower y-o-y in line with availability of mined metal. The production of mined metal, refined metal and silver for the year were the highest ever and in line with guidance provided at the beginning of the year. Mined metal production for FY 2018 was 947kt, 4% higher y-o-y. This was driven by higher ore production from underground mines, partly offset by lower open-cast production and lower ore grades. Integrated zinc, lead and silver production were higher by 18% y-o-y, 21% y-o-y and 23% y-o-y respectively to record highs, in line with uniform flow of mined metal. Revenues during the quarter were at Rs. 6,277 Crore, an increase of 6% q-o-q and flat y-o-y. On a y-o-y basis, higher metal prices and lead & silver volumes were offset by nil mined metal sales, lower zinc volumes and rupee appreciation. The revenue was impacted by Rs 335 Crore due to lower realisation from forward sale of 165kt of zinc & lead metal. The cost of production before royalty (COP) for zinc during the quarter was at Rs. 59,569 per MT ($925), down 10% sequentially in INR (9% in USD) and up 12% y-o-y in INR (17% in USD). The sequential decline was driven by higher metal production, higher overall grades and increase in linkage coal. The y-o-y increase was primarily on account of higher imported coal prices, higher diesel prices and lower overall grade due to mine mix even as metal production was flat. EBITDA for the quarter was Rs. 3,660 Crore, up 12% q-o-q and down 3% y-o-y. Net Profit for the quarter was Rs. 2,505 Crore, up 9% q-o-q and down 18% y-o-y. In addition to higher depreciation and tax rate, Net Profit was impacted by a one-time exceptional loss of Rs 51 Crore related to gratuity provision for earlier years as per the ceiling enhancement announced recently. For the full year, revenues were up by 28% y-o-y driven primarily by higher metal volumes and prices partly offset by impact of rupee appreciation. COP was higher by 14% in INR (18% in USD) at Rs. 63,583 ($976) primarily due to 38% increase in imported coal prices & metcoke prices and about 15% increase in diesel prices and lower ore grades, partly offset by higher metal production. 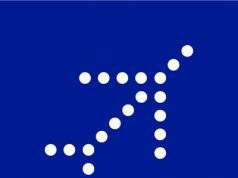 EBITDA increased by 28% to Rs. 12,376 Crore, the highest ever for the Company. The full year Net Profit was up by 12% to a record Rs. 9,276 Crore on higher revenue & EBITDA and lower depreciation. Investment income during the year declined on account of lower rate of return resulting from a broader decline in interest rates as well as lower investment corpus on account of special dividend payment. Net Profit was also impacted by a one-time exceptional gain of Rs 291 Crore in Q2 related to the Supreme Court’s favourable judgement on DMF levies as reduced by Rs 51 Crore on account of one-time provision for gratuity. 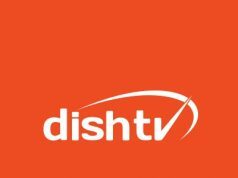 With effect from April 1, 2017, the Company has changed its depreciation & amortisation methodology resulting in a lower charge for the quarter and the full year by Rs 110 Crore and Rs. 321 Crore respectively. On March 16, 2018, the Board of Directors declared second interim dividend of 300% i.e. Rs. 6 per share (300%) on equity share of Rs. 2. Together with the interim dividend of Rs 2 per share (100%) paid in October 2017, the aggregate interim dividend paid during FY 2018 was Rs 8 per share (400%) amounting to Rs. 4,068 Crore including DDT. In view of the second interim dividend, no final dividend is recommended. Mined metal and refined zinc-lead production in FY 2019 is expected to be slightly higher than that of last year, filling the gap caused by completion of open-cast production. Silver production is expected to be in the range of 650 to 700 MT. COP before royalty is projected to be in the range of USD 950 to 975 per MT in FY 2019. Tax rate is expected to trend up while quarterly depreciation expense is expected to be in the range of Rs 350 to Rs 400 Crore. The project capex on mining and smelter expansions is expected to be approximately USD 400 million in FY 2019. The announced mining projects are progressing in line with the target of reaching 1.2 million tonnes per annum (mtpa) of mined metal capacity in FY 2020. Capital mine development during the year was 38,501 meters, an increase of 65% from a year ago. The underground production at Rampura Agucha continues to ramp up strongly and achieved an ore production run-rate of 3.0 mtpa during the quarter. The south ventilation shaft system was commissioned during the quarter. Off shaft development is on track and production from shaft is expected to start in Q3 FY2019. During the quarter, Sindesar Khurd’s main shaft equipping was completed and winder installation commenced. Production from the shaft is expected to start as per schedule in Q3 FY2019. Civil and structure erection for the new mill is ongoing and expected to be commissioned in Q2 FY 2019. During the quarter, orders were placed for paste fill plants for both Rampura Agucha and Sindesar Khurd mines. MoEF has given environment clearance for expansion of ore production at Kayad mine from 1.0 to 1.2 mtpa. At Zawar mine, civil construction for the new mill is progressing well and is expected to commission by Q4 FY2019. The Fumer project is progressing as per schedule and expected to commission in mid-FY 2019. Based on a long-term evaluation of assets and in consultation with global experts, the Company is evaluating plans to increase its mined metal capacity from 1.2 mtpa to 1.5 mtpa. The Board has approved the Phase I of this expansion which will increase mined metal and smelting capacity from 1.2 mtpa to 1.35 mtpa through brownfield expansion of existing mines at an estimated capital expenditure of around Rs. 4500 Crore. Phase I includes incremental ore production capacity of 0.5 mtpa each at Rampura Agucha, Sindesar Khurd and Rajpura Dariba mines bringing the total capacity to 5.0 mtpa, 6.5 mtpa and 2.0 mtpa respectively. The capacity of Zawar mines will be increased by 1.2 mtpa to 5.7 mtpa. These projects will take total ore production capacity to 20.4 mtpa and mined metal capacity from 1.2 mtpa to 1.35 mtpa. Phase I will be completed in three years and will be done concurrently with the ongoing expansion which is now in its final stages. During the year, gross additions of 19.5 million tonnes were made to reserves and resources (R&R), prior to depletion of 12.6 million tonnes. As at March 31, 2018, the combined R&R were estimated to be 411.3 million tonnes, containing 35.7 million tonnes of zinc-lead metal and 1.0 billion ounces of silver. Overall mine-life continues to be more than 25 years. As on March 31, 2018, the Company’s cash and cash equivalents was Rs. 20,395 Crore invested in high quality debt instruments and the portfolio is rated “Tier –I” (implying Highest Safety) by CRISIL. In FY 2018, we contributed Rs. 9,301 Crore to Government treasury through royalties, taxes and dividends.